Who would have thought you could find a Hall of Famer in the Major League Baseball Rule 5 draft? You usually associate this draft with the marginal player who is not good enough for the 40-man roster, but still performing for his team. You would never think a player like Roberto Clemente would be subject to the Rule 5 Draft, but he was, as were notable players like former Oriole Paul Blair, current Met Johan Santana and Royals closer Joakim Soria. And can you even imagine that current Philadelphia Phillies outfielder Shane Victorino went through the Rule 5 Draft twice befores ticking with the Phillies and going on to win his first World Series ring this Fall. But besides Clemente, the most recent addition to the Rule 5 Draft All- Dumb Move team was former Rays Josh Hamilton. He was left unprotected by the Tampa Bay Rays in 2006 and was selected 3rd by the Chicago Cubs, who then sold his rights to the Cincinnati Reds where he played in 2006 all season long at the major league level. The Rays were trying to hide Hamilton off their 40-man roster because of recent re-instatement to baseball after 2 years of drug problems. But that did not deterr the Cubs, who quickly snatched Hamilton up before the Rays knew what had happened. Will there be another ” Josh Hamilton or Johan Santana” in the 2008 Rule 5 draft being held on Thursday in Las Vegas? The answer is not that simple this year. This years draft might be the hardest to predict in the last several years. No one is a clear favorite in any of the three phases ( MLB, Triple-A, Double-A) to be selected this time around. Alot of basbeball officials call this year’s Rule 5 Draft a bit of a bust. There is not a huge buzz about any one player, or the potential as in years past. The rules changes prior to last year, adding an extra year of protection for teams to keep players. Under the old rules, 2005 high school draft picks and 2006 college picks would have had to be protected (and most international players signed in ’04 as well). Prep pitchers such as Sean West (Marlins), Chaz Roe (Rockies), Brandon Erbe (Orioles) and Will Inman (Padres) would have to be protected ,but are not on 40-man rosters. That leaves more room to protect fringy players who otherwise might not have made the cut. Some borderline players will get an extra reprieve this year thanks to the new rules, but will have to earn that spot come Spring time. Similarly, the Pirates don’t have to make a 40-man call on 2006 first-rounder Brad Lincoln, who has missed a year with Tommy John surgery, and the Indians can wait on corner infielder Wes Hodges, who can hit but hasn’t shown he can handle third base. That has left a thinner talent pool to choose from. The ’06 Rule 5 yielded stars such as Josh Hamilton and Joakim Soria, but the top talents in the ’07 class were players such as outfielder Brian Barton, who stuck all year with the Cardinals; knuckleballer R.A. Dickey, whom the Mariners swung a trade to keep; and lefthander Wesley Wright, who stuck as a reliever with the Astros. Draft analysts agree there are few position players with Barton’s upside in this Rule 5 class, and and the quality and talent of players and pitchers has dipped accordingly with the rule changes. Big names such as Donald Veal (Cubs) and Eduardo Morlan (Rays) have attracted interest, but Veal pitched poorly all year and again in the Arizona Fall League, while Morlan’s velocity was back in the 89-92 mph range in Puerto Rico but not in the mid-90s he showed earlier in his minor league career. Morlan was the third player garnished by the Rays in the Matt Garza, Jason Barlett trade last November with the Minnesota Twins for ex-Rays badboy Delmon Young, Brendan Harris and Jason Pridie. The best comparisons to Barton are several prospects with injury questions, such as pitchers Alan Horne (Yankees), coming off rotator cuff surgery on his shoulder, and Pedro Strop (Rangers), a former Rockies farmhand coming off his own arm injury; and catcher Donny Lucy (White Sox), who is athletic and plays a premium position but has never quite performed. RHP Jordan Pratt, Dodgers ( above ) : The 2003 fifth-round pick out of an Oregon high school has yet to progress past Class A. He spent 2008 in high Class A Inland Empire and walked 67 (while striking out 80) in 69 innings. However, Pratt has premium stuff, with a fastball that consistently reaches 94 mph, and an inconsistent curveball and a premium cutter that helps him handle lefthanded hitters. They went 2-for-35 off him in Hawaii Winter Baseball, where Pratt showed off some smoother mechanics that helped him throw more strikes. Lefty David Pfeiffer of the Dodgers, a sidearmer, also was getting some attention. LHP Jordan Norberto, Diamondbacks ( above ) : Norberto has upside, as he’s just 22 and has reached 96 mph with his fastball. He’s also spent the last two years in the low Class A Midwest League, striking out 220 in 204 innings while walking 102. IF Corey Wimberly, Rockies ( above ) : No one in the class fits the utility profile better than Wimberly, a 5-foot-8 switch-hitter with plus speed and defensive versatility. Wimberly played second base, third base, shortstop and the outfield in ’08 at Double-A Tulsa while posting a .370 on-base percentage. He lacks strength but has a solid track record as a hitter. RHP Loek Van Mil, Twins: The 7-foot-1 righthander has shown a fastball up to 97 mph in the past but has a partial ligament tear due after injuring his elbow just prior to the Beijing Olympics. Fellow Dutch national teamer Hainley Statia (Angels) remains the top middle-infield possibility in a thin group of players there. Here is the Major League portion of the Rule 5 Draft with final results posted below. Check out the list and see if your favorite might have picked up a young player, or left someone unprotected and they were selected from your squad. In the Rule 5 Draft, the Tampa Bay Rays lost the rights to Double-A closer Eduardo Morlan, who was selected by the Milwaukee Brewers with the 15th pick of the draft. The Rays then selected starter-turned reliever Derek Rodriguez with the 19 th pick to swap pitchers with different aspects of the game. A little over 13 months ago we took on a new persona here in Tampa Bay. Everyone remembers the limp, win-challenged Tampa Bay Devilrays. Well, we were told to expect changes and get used to winning and maybe keeping a roll of antacids in our pockets for the 2008 season. But little did we know what was about to happen to effect our lives, stomachs and attitude towards our home team. First there was the events st Straub Park that put the entire thing into motion for 2008. Kevin Costner and Modern West came to put on a free concert for the Tampa Bay Masses as we dropped the Devil from our moniker and became to Rays………free and clear. Along with those changes were vibrant logo with a highly accented “R” and the burst of light, which could of been a sunburst, a flashlight, or maybe even a quasar from the futre telling us about 2008. The event brought alot of mixed emotions into the Tampa Bay area, but also brought about a sense of removing the past and being reborn to become what we should always have been…winners. Not only did the team have a new energy about it, but the player showed the emotion and the anticipation on stage that night to bring about total acceptance of the new look. I only had one problem with all of this change. I still thank that the road jersey should have the “Tampa Bay” naming on the chest instead of the Rays. It might be something simple to most people, but I also have been on teams that accented the away jersey would have a regional flair, and the Rays became only one of a handful of teams that now held the same uniform both home and away. One small patch on the sleeve kept the flying “ray” alive, but for how long. I have a feeling we might see it gone in 2009, replaced by some sort of symbolic gesture of winning, or maybe a “burst” like in the center of the current logo. After the effectiver launching of the new logo and advertising, the team went on a media blitz that saturated the Tampa Bay area with the new attitude and logo. Gone were the green and white shirts off the shelves, and on them now was the burst and the typically blue hats with the white “TB” on them. Also gone were the 5 or 6 variations of the caps during the initial launch. Tampa Bay wanted the entire area to re-unite under one cap scheme before re-launching variations and knock-offs. The Champs Sporting Good store player appearance were extremely popular and some store even ran out of certain team apparel that night. The buzz was all over the Tampa Bay area about the recharged Rays and their plans for the future. So we got to relax for a short while before the team announced two huge trades of disgruntled or negatively-aligned players. One was a superstar in waiting, while the other may someday be a great powerhitter, but not with the Rays. Delmon Young, who had been in the doghouse of Maddons’ since the last game of the season was jettisoned to the great white dome in Minnesota along with utility guy Brendan Harris and minor league outfielder Jason Pridie. The deal at first looked like the Twins had fleeced the Rays for a potential All-Star and slick-hitter in Young. But the deal did not take a Tampa Bay turn into late in Spring Training when it looked like two of the players dealt to the Rays might be starters on the team. 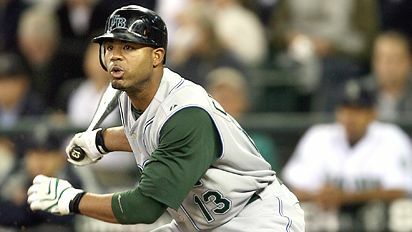 Jason Bartlett came to the Rays as a much under used appreciated and mis used member of the Twin’s infield. He had good skills at the plate, but his strong point was his defense. The second member of the trade might have come with the most baggage to Tampa Bay. Matt Garza was a great pitcher, but he got into himself too much and might have done himself more damage than good in his time with the Twins. In the end, both guys became valuable members of the team and did not even look back as they moved forward with the Rays. The minute Spring Training started at the Namoli Complex, you could see both guys were relishing in their change of scenery. Bartlett quickly got into the team’s rhythm and poised to become a valuable member of the squad. Garza tried to become a dominating pitcher early, but his mind got in the way of his pitching and sulking and frustration came to the top alot in the beginning. The truning point for this trade came on that faithful day in Texas where Garza could not longer hide the frustrations and outwardly exploded in the dugout. That day, Garza let it all out and began a transformation that made him into a stellar pitcher. The second trade might not have made much sense at the time, but it was done more out of helping a player who did not think he needed the help at the moment. Elijah Dukes will someday be a trememdous hitter and outfielder, but the local enviorment for him was toxic and he needed to leave before it destroyed him. Duke was traded to the Washington Nationals and did not see a huge amount of action in 2008, but the positive did rear their heads for him during the year. He played inspired ball and did not focus or dwell on the off the field problem he had in Tampa Bay. He showed the Nationals the raw ability and power he had, and made some amazing plays in the field before finally going down in a game against the New York Mets. In that game, Dukes sprinted for a ball near the base of the wall and hit it with such force it should have broken his leg. He did come outy with a knee problem, but came back quickly and even made more heads turn before the end of the year. He stayed out of trouble and learned that the change of scenery made the trade a blessing in disguise. Tampa Bay might not have gotten alot in return for Dukes, but they did give him his life back, and he repaid them by doing it the right way. After these two trades, the team went about signing two members of the 2008 team that made contributions in different ways. Troy Percival was chasing a top 10 spot in the All-Time save list when he signed a 2-year contract with the Rays. Because of his knowledge of Maddon’s gameplan, he was the perfect candidate for closing out Rays games. He came with veteran experience and postseason muscle, which could come in handy for the young Bullpen. His work ethic and chats with the young guys could serve a dual purpose as having another pitching coach out there in the Bullpen to educate and relate to the other players. Percival came into the year wanting to secuire the back end of the Rays Bullpen and give them some stability in the position. Little did we know at the time what would happen, but in 2007, it was heralded as a major upgrade and a certain intimidation factor. The second signing was for a former outfielder who had won a World Series ring just like Percival. Cliff Floyd came to the team with a dual mission. He came to the team to provide ammunition and experience to help educate and emotionally charge the young bench. Floyd came here with great credentials, but his on-field mobility was in question from the start. Gone were the legs who could produce a run from a single, but the power and the stroke were still there in force. He became an instant leader in the clubhouse and lead by example. Always the professional, Floyd took young players like B J Upton and Carl Crawford under his wing and taught both of them the art of the game. That half the battle in this psort was fought between their ears and in their words and comments to others. You could see the change in both players’ early in the year, and it set the tone for the team. So with these 4 episodes early in the off season for the Rays, the team set about a series of changes like never before in their history. They had a change of uniforms, attitude and a veteran experience level they had not witnessed in their short history. The sky was the limit for the young team before the Feb. reporting day, and from there they just kept making history. Accolades are beginning to flow into the Tampa Bay Rays after their magical season. Tonight, during a dinner at the Major League Baseball General Managers’ meeting, TheTampa Bay Rays GM, Andrew Friedman was selected as The Sporting News Executive of the Year. This is a high honor for the young gun who has assembled a greatly improved ballclub in such a short time. He started out the 2008 year by sending disgruntled outfielder Delmon Young, utility star Brendan Harris, and Minor league outfielder, Jason Pridie to the Minnesota Twins for shortstop Jason Bartlett, starter Matt Garza, and minor league reliever Eddie Morlan. Jason Bartlett came to the Rays and immediately gave them a veteran and defensive presence at short. He eventually went on to win the local Tampa Bay press award as the teams’ 2008 Most Valuable Player for his defense and leadership to the team. Matt Garza grew by leaps and bounds this season, both in the public’s eye and in the clubhouse. He began the year with frustrations and an early injury, but in the second half of the season showed that he the stuff to be a top pitcher for many years in the American League. His improvement accumulated with his Game 7 victory over the Boston Red Sox in the ALCS. It was one of his most impressive performances of 2008. Eddie Morlan is currently at the Double-AA Montgomery working on a variety of new weapons coming out of the Bullen for the Bsicuits. These players are not the only positives trades or pickups for Frienman in 2008. He traded MLB-ready reliever Jeff Ridgeway to the Atlanta Braves for utility player Willy Aybar. This trade did not look like a positive until near the end of Spring Training where Aybar showed that his injury had healed and he was motivated and mentally prepared to play daily in the MLB. His output during the early part of the season, and when thrid baseman Evan Longoria went down have been a true asset to the Rays during the season and the playoffs. Friedman also picked up Eric Hinske off the Free Agent market and made him the Rays rightfielder with power. Hinske, a former Rookie of the Year winner with the Toronto Blue Jays helped provide leadership by example early in the year for the Rays. But not lost in the year was the free agent signing of Cliff Floyd as the team’s primary Designated Hitter this year. 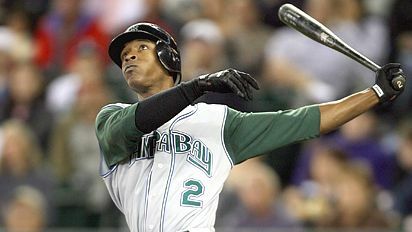 Floyd came to the Rays having been in the MLB playoffs the last several years with the Chicago Cubs, ansd the New York Mets. Added to that impressive resume was a World Series title with the Florida Marlins in 2003. He brought a calming and leadership role to the young team and took the challenge on head first with players like B J Upton and Evan Longoria. The trades and the free agents signings in 2008, made the team a better squad by bringing in a catalyst of strong winning personalities and winning attitudes. These changes in the clubhouse mended and bonded the players into a “family” type unit that played as a whole and not as individuals in 2008. Not lost in all of this is the fact that Friedman does have a baseball background. People forget he actually attended Tulane University in Louisianna on a baseball scholarship and palyed until and injury to his shoulder led him to more academic adventures. With the Hot Stove action beginning to simmer for the Tampa Bay Rays, do not be suprised if Friedman doesn’t steal another great player, or work out a free agent signing that will futher propel the Rays in 2009. Worst part of a game starting at 9:30 at night, you might not get to the pillow until maybe 1 AM. Worst part of last night’s game, what pillow?. When you win a game like that, the “zombie” walk that is part of the next day is acceptable behavior in my book. Hopefully my customers will not ask me any questions, for I will be sleeping on my feet today……….snore…. Until 1954, players were able to leave their gloves on the field while their team batted. The Rays rookie, Evan Longoria has had a dream year so far in 2008. He is leading all AL third baseman in fielding percentage (.997), he has been rewarded with a long term contract by the club, and he is hitting the ball like a guy who has been here for a long time. People forget he was not with the Rays for the first 10 games of the year But since then, you can’t get the kid off the hot corner. Longoria went 3-6 last night with 3 RBI’s. Evan also got a stolen base off of Kurt Suzuki and Keith Foulke in the top of the 8th inning. To put the icing on the cake, Longoria got his 2-run shot of former Ray Chad Gaudin in the top of the 13th inning. *** Akinora Iwamura is siliently putting together another hitting streak for the Rays. At the beginning of the year, it looked as though Aki would not be a good lead-off candidate for this Rays squad. Since then, he has come through in the clutch and shown he can deliver in the top spot. With 29 hits in May, Aki leads the AL in that category and only trails Houston’s Lance Berkman by 6 for the MLB lead in hits this season in the month of May. ** When Jason Hammel was demoted to the bullpen after Scott Kazmir came back, he took it in stride and still worked out strong and hard to keep in the mind of manager Joe Maddon. Hammel pitched 3 innings last night and helped the Rays protect the lead with 1 hit and three strikeouts in his outing. Hammel was rewarded with his 3rd win of the season for his efforts. * Eric Hinske leads the Rays with 18 extra base hits this season. His 2-run homer to tight in the 5th inning started the scoring for the Rays tonight. His 8th homer this year is two more than he had all last year with the Boston Red Sox. Hinske also got one of the Rays 5 doubles on the night in the 3rd inning. When Frank Thomas came to the Oakland A’s after being let go by the Toronto Blue Jays, most people felt he might be entering his last sunset in the MLB. Do not tell Frank that, as he belted two homers off Rays starter James Shields tonight. For the night, Shields gave up 3 homers, two to Thomas and one to Emil Brown. Before tonight, Shields had only given up two homers the entire season. His control was not amazing tonight as his cheangeup was missing the corners all night long. Shields did not look comfortable ot there and struggled in his 7.2 innings. He gave up 5 hits and 5 earned runs tonight, while only striking out 3 batters. I must say the biggest “Ugly” in tonight’s game is the tarp covered upper deck area of Oakland’s stadium. It is in that ugly dark green hue that makea a great backdrop, but takes the beauty of the stadium away and just make sit look drab and dull. Players have said that this stadium is the worst for sun-aided outfield drops and mis-plays. The outfield sun backdrop is a monster in the early evening as the sun that beats down at an 85 degree angle on you. Shades and your hand covering your eyes to adjust to the sun do not help in this stadium. Most times you just have to hope you have great positioning as the ball makes its ascent to the turf. Oakland’s own player Jack Cust seemed to have that same situation last night in the top of the 3rd inning on a double by Eric Hinske. Cust looked to have the play, but when the ball got within 10 feet of him he froze and could not locate the ball in the setting sun. The ball fell a few feet to the right of where he was standing and trickled to the wall before centerfielder Ryan Sweeney retrived the ball for the A’s. When the Rays traded Brendan Harris to the Twins in the off season, more than one Rays fan cried “foul.” They did not see why you would get rid of a guy who was a working class baseball player, who did his job nightly and did not seek the limelight for himself. Well, Brendan, you are my ex-Ray of the night because of your 3-5 night against the Texas Rangers. Harris was listed as the Twins DH for the night, until taking over at short in the extra innings. Harris currently hitting .262 for the Twins. Tonight is a another late start ( 10:05 P.M.) with Scott Kazmir taking the mound for the Rays. I am not sure if I am going to make this telecast, but we shall see………..if the kids let me catch a catnap, I might actually see a bunch of innings. Well, it is that time of the night/day that I tell you my thoughts and opinions on the latest Rays loss at the hands of the Baltimore Orioles 6-5. But first, We have to give you some good trivia to make you smile and want to attend Jeff Niemann’s MLB pitching debut tomorrow. In 1931, Chick Hafey of the St. Louis Cardinals became the first batting champion to wear glasses. Now back to our normally scheduled The Good the Bad, and the Ugly for tonights game. The mire presence of Rays top prospect Evan Longoria must have made an impression on the Rays hopeful fans who do not usually attend games. The Rays experienced almost a 20 percent increase over attendance from the Friday night contest. I am going to attribute that to the arrival of Longoria tonight, and no the free Rays visors given out to the fans. Evan did almost everything right tonight in his pro debut. He signed a ball for me after Batting Pratice( again, thank you Evan), he handled the ball numerous times and the throws were tight and on target. And he got a single tonight and his first RBI to top it all off. It was a chore just to get the ball for him again. I am getting the impression that the Orioles do not like to give the balls back after major feats, or a rookies first hit, or RBI. the ball was finally retrieved before we had to send Jonny Gomes over there for it.The fact that Evan is here will ease the defense about the hot corner. I know from playing third base, it can make or break your ball club in who is manning that spot. If the player has the reactions of a cat, the Hot Corner can be your best friend to your ball club. I personally think it will be manned by Longoria for a long time. But then again, we thought current Oriole and former Ray, Aubrey Huff was the second coming of Wade Boggs. *** Rays Designated Hitter/Rightfielder Jonny Gomes cam up as a pinch hitter in the bottom of the 9th tonight and the crowd was on their seats looking for a tying run from the bomber. Jonny connected on a George Sherrill pitch hit to right field, but it fell just short of the wall for an out. The crowd was totally into the at bat, and the entire Rays and O’s fans in attendance were holding their breath when Gomes hit that monster. ** The hitting of Centerfielder BJ Upton tonight pulled his average up to above .300 again. Upton is seeing the ball better and his contact with the ball is crisp and on the head right now. I am going to predict he will go on a 10 game hitting streak from tonight on………..knock on good wood everyone. *The number one Kudo of the night belongs to Evan, but Carlos Pena did nothing to even sit in the shades tonight. In the earlier innings, Carlos snagged a ball going down the first baseline at a backwards angle, and got the runner with a throw to pitcher Jason Hammel. It was a super play, and should be on the Top 10 plays of the night on ESPN without a doubt. In his next at bat, the crowd was calling for a Home Run. And Carlos did not disappoint his fans this night. He hit a solo homer to right field that would have cleared any ballpark in the MLB. Currently, Pena is leading the American League with 5 homers, and is tied for first within RBI’s with Blue Jays Vernon Well for the lead with 12. There really wasn’t alot of bad tonight by any one player. There was a few bad moments. And for that reason, I am going to just list three plays that changed the course of the game for the Rays. *** A series of misplayed flyballs to deep Right Center by BJ Upton and Nathan Haynes gave the Orioles DH Aubrey Huff a ground rule double, and two batter later, Ramon Hernandez got a triple after some confusion in the outfield. ** The Orioles had brought in Chad Bradford, a sidearm slinging pitcher who seems to hit the top of the dirt during his delivery into the contest. BJ upton managed to get a bunt single to third and was sitting on first base. Bradford has a weird pitching style, and a even wilder pick-off move. It appeared to me that Bradford had twice before shufflied his right rear foot on the rubber before he throws to first base. BJ did not pick up on this and was cuaght in bewteen first and second for a “caught stealing” attempt. I mention this, because I wonder if BJ sometimes is too aggressive. The reasoning for this, is that he has had three baserunning errors in the past three games. The fact he was caught stealing on this occasion would not have produced a run, but maybe a slight moment of concentration loss is to blame here. * The Rays brought in reliever Dan Wheeler for Trever Miller. It was 2 outs in the top of the 9th innig with no one on base. Wheeler then served up a home run ball to leftfield for Ramon Hernandez. He is currently batting .194, and got two RBI’s and a triple and homer tonight against our pitching staff. The ugly tonight is the baserunning situations that have cost the Rays some runs in the last few games. I have already talked about one of them in the above “Bad” section. Willy Aybar was hurt when he slide into home after running through a stop sign by third base coachTom Foley. In the slide st home, Aybar aggrevated his hamstring and is on the 15 day DL for his actions. Not only BJ Upton, but other Rays have been caught in ” no man’s land” this year by over running the bases, or testing the arms of outfielders in the division. I am all for testing the arms of the players, and triyng to be aggressive at times, but do these players have a personal “green light” to moonlight decisions on the base paths, or do they just mis read the sign sometimes. There was one play tonight that caught my eye and I am pleased to see it work out for the better. There was a hit and run play called with BJ Upton on second and Eric Hinske up to bat. BJ Upton was on the move and Hinske hit a beautiful ball to left center to move BJ to third. During the next at bat, Evan Longoria hit the ball to left field and scored Upton. I guess you just have to play the odds sometimes when you are running the bases. But at this early junction in the year, are the actions worth a possible loss……….we shall keep this in our sights and see what develops here. Current second baseman Brendan Harris of the Minnesota Twins is batting .367. Tonight he was 2-4 with a pair of singles. He also was the pivot man for a 5-4-3 double play to end tonights win for the Twins. shellacking by the Seattle Mariners. a feat all it’s own. back to him. He collected the ball and threw to Pena. into the Bullpen area for extra bases. the Rays ship, it is the always positive Maddon. and went 0-3 Weds. night. hitting the ball well and doing it on the diamond for the Red Sox. the Chicago White Sox. Harris is hitting at a .348 clip so far this season. HR tonight for the Florida Marlins. how Rays pitcher Edwin Jackson does tomorrow. ** Quotes from Interviews were obtained by Marc Topkin of the St. Here it is a few days from the Winter MLB meetings in Opry-ville and we made a few needed moves that will help define our current and future goals for our squad. First off, let me get that off my chest right now. I am not a Delmon Young hater in anyway, but, from my seat in Right Field, I could read some of his body language and tell he was just buying time before the poisoned axe or his actions dictated a move to new Fieldturf pastures. Have fun in the pillow-dome Delmon. You complained about not being able to clearly see balls at the Trop. Wait until you look up in that sea of lights and true white roof at the Metrodome………..you will wish for the grey white roof of the Trop. I do wish him alot of luck in his future and success with that “Young” brothers curse of having a small attitude adjustment problem. His brother seemed to have finally gotten his attitude to shine with the Nats, let’s hope it doesn’t take Delmon as long to fine the right basepath to being the great teammate. Delmon’s departure will come back to haunt us at times,…………..but only for 6 or 7 games a year. Now the players we got for Delmon are quality guys. Matt Garza is a young player that can br dialed into this rotation for years and will be a positive and needed upgrade to our constantly inproving and maturing pitching staff. Garza has not even hit the stride in his career yet, so the sky is the limit right now with him. By the way, in Garza’s last 2007 start in, he pitched 6.2 innings with 4 hits and 1 ER against the Royals and Lost the game. We will take 6.2 inning outting any day with only 1 ER…….with the offensive power we have on our roster right now, it should always be a “W” with the Rays. The additon of Garza is great because this staff can grow into a huge AL East pitching monster. Scott “The K” Kazmir is just getting started. James Shields was perfecting a few of his pitches last year, and gaining a boatload of knowledge about American League hitters. Those two will hold down the front of the rotation for a long time. Matt Garza is a great addition to help get those extra ( hopefully) 10-15 wins a year to get close to that hallowed 82-82 mark. They only curious point to this trade is Jason Barlett,the second player involved in this trade. He is destined to be just a stop-gap fill-in until protege’ Reid Brignac is ready to man the 5 hole for years to come. Bartlett hit .265 last year, but only has 10 HR’s in his career and only 1,079 AB’s in his career. He has primarily been a utility man during his career in the bigs, and this is his first extended playing time in the shortstop position. Now he knows the role he will play here in Tampa Bay, but who knows, someone could come to camp to even replace him ( maybe Ben Zobrist ). Worst things have happened to our team. Remember Danny Batista and Roberto Alomar retiring from our squad with only days to go in Spring Training. Losing these ex- All-Stars was viewed at the time as a failure by the team. It turned into the emmergance of Jorge Cantu and Jonny Gomes as “go-to” guys for the Rays for that year. So, sometimes a bad look can turn into a solid gold treasure when you only look at the surface of a situation. But that is why we play the games and do not award a trophy for roster potential, but game results. With that in mind, let me wander a bit. and fantasize here. Can you go back home again in baseball? Not to a home per se, but to an old team that left you unprotected in the Rule 5 draft, and you selected to a good NL team that did not even know if you could play an entire season because of health and personal concerns. Josh, I have always wanted success for you and knew that you could and would pull yourself together and show the world what a ture 5-tool player looks like up here. You went on to prove you can play at the highest level and even make their opening day lineup in Right Field. the start of the season offensive expolsion you provided made everyone’s jaws dropped in awe. You finally had an entire country knowing you had it in you, and you proved it to everyone. Hey Josh, I was there the day you came back after your off field problems that took you from baseball and the Rays. I was the Pepsi guy in the locker room talking to Tim M. right before you went out the door of the training complex and first met the media. I knew then that you had it again. That your head and attitude felt right to me, and I wanted the sky for you. Can you forgive the powers from beyond the Trop’s D-rings and just listen to them if they want to trade and include you on our squad. I would cheer and enjoy watching you in Right Field again. And a huge plus that people forget, you can be the left-handed bat that Joe has been searching for in the lineup. Could be a sea of pluses for both the team, and yourself. Okay, fantasy time is over……… Trade number two might not seem big on paper or even in reality, but it can be the jump start for each player. Elijah Dukes and Glen Gibson both needed a team that wanted them and believed in them. Now I do not think the Rays ever disliked or wanted harm for Elijah. His off-field and on-field distractions just took their toll on himself and the front office. Both parties knew that a change of scenery can work wonders for you, as a person and a player. I wish you a cartload of homers in that new park Elijah. And we will not see you for about 6 years. It take a few years for the schedule to again list the Nats’ as a interleague opponent again.So this trade might be a hidden blessing for you. Now Glen Gibson is daily becoming a more polished pitcher. Baseball America rated Gibson’s changeup and curve the best in the Nats’s farm system. Now we know he has inherited talent and a great barometer a phone call away from him. Not every guy has a father that pitched in the majors. That could end up being a hidden blessing for him and the Rays. Fantasy time again…………this time Minor edition. The Rays’ top draft pick last year, David Price has set high expectations of himself and his progression in the Rays farm system this year. Now I will never argue with a Vandy grad, but I just want him to have a shot to know the systems and not rush his progress. When he gets called up to the Big club, he may get hit like a pinball for a few weeks, but being a Southeastern Conference pitcher is a bit of a farm system in its own right. The best have had a rough beginning until they adapt and conquer the unique strike zones and brutal power potential of a MLB batters’ box. I love to hear bravado and throwing caution to the wind, but I think a year in triple-A and a call up down the line could be his best medicine. There are a great amount of talent in Double-A and Triple-A right now biting at the bit to get that Spring Reporting date here and start to show their stuff. Jeff Neimann, Jeff Ridgeway, JP Howell,Mitch Talbot, and ex-big club guys like Chad Orvella, Jae Kuk Ryu want another shot up here as well. And that does not include the future power pitchers scattered in the Montgomery, Columbus, and Vero Beach teams. The future looks really bright for this team in the pitching department. Having a prospective rotation of………Scott Kazmir, James Shields,Matt Garza, and add any of these current teammates names,………Andy Sonnanstine, Jason Hammel and my favorite, Edwin Jackson to the mix, make for an exciting rotation problem that could win anytime they hit the rubber. Back to reality. The addition of closer extrodinaire, Troy Percival only makes the 6th through 9th inning a more secure spot for the Rays. What I am talking about is the fact that Gary Glover,Al Reyes, Dan Wheeler are proven MLB relievers who can make it a challenge for any team to try and score after the starter leaves the game. We have had great relievers before, but never in the middle roles. I think Reyes showed a huge amount of class in knowing that what is right for the team is great for the future of this squad. I think that is why they picked up his option. There is no doubts or questions he is a plus everytime he hits the mound for us. He might be the last guy to get the ball on most nights, but he is the first to know that this team has within reach lofty goals, and they are within reach most nights, even in Fenway Park. Now I have heard a bushel basket of rumors about additons and subtractions to this team. I want to address my views on a few subtractions here. Delmon might have been a player with a career that will bury his older brothers, but he also has the Young family cancer of that hidden danger and aggression that could ruin all that is good with……..a simple, casual walk to first. Rays’ fans know what I am talking about here. I enjoyed watching Aubrey Huff hit for years here, but when he started to jog down to first is when he got that dreaded “Ben Grieve” epidemic. Maybe it is in the aura of Right Field that our players get that attitude and begin to falter right in front of us. Brendan Harris and Josh Wilson were the “blue collar” guys last year. Each guy experienced a banner year. they got to play ball almost every night and did it the right way. Both got rewarded in different ways. Brendan got to play in another Dome, but has a great chance to be the everyday guy in the 5 hole up in Minn. Josh Wilson was put on the daily MLB waiver wire with the hopes he could pass through without a hitch. One big hitch, some people actually read those waiver wires daily. The Pirates took a gamble, and got another quality infielder for their rebuilding ballclub. We wish you a ton of success Josh……you did a great job for the short time you were a Rays. Just a reminder, we did get Josh on waivers from the Nationals last year. Karma? you never know. The last two trades I want to discuss did not happen as of the writing of this blog. That does not mean that the teams are not on their cellphone right now mending the deal or twisting the pieces to fit both teams. The First is the rumor of Edwin Jackson shipping off to Seattle for 1b/DH Ben Broussard. Now I am a huge “Action” Jackson fan, just ask him (lol). I liked Ben Broussard when he was an Indian, but I think his production has slowly seem a downward spiral. We could have done better even in a rumor than this one. Another rumor had the Mets again this year coveting Jackson. I do not know what the Mets’ still have left in their farm system. They have been active the last few years adding the missing pieces to their squad. But I am not sure their farm system is as strong as when we plucked Scott Kazmir from their clutches. The second non trade is a two-parter.It is the “non” trading of Carl Crawford and Rocco Baldelli. I know that Carl would love to be a part of the first winning team in this franchises’ short history. He should be a part of this celebration……front and center. Rocco I believe will come out of Spring Training in better shape, and better condition than any other time in his short Rays tenure. I used to be out at the Rays complex delivering alot, and when Rocco was mending from his surgeries and bumps and bruises, he was always eagerly training and building himself up for his return. If you remember, Joe used to like to have Rocco in the dugout at home games and selected road series because of his great attitude and zest for success. I think this time it is totally personal for Rocco. I feel he knows that the team took a gamble and signed him to a long term deal. He is a proud guy, and he is probably the most excited about reporting in Feb. 2008. Rocco stated in a news article he will relax this off season for a change. I believe that like I believe the “Clear” was a muscle relaxing ointment. FDA approved too………right? He is probably getting in the best condition both mentally and physically for this team. Right Field has been a concern for the big wigs upstairs since Delmon hit the road for the Great White north. I think Jonny Gomes, Rocco, or even the tandem of Triple-A studs Fernando Perez or Jason Ruggiano can man it better than Cliff Floyd, Geoff Jenkins, or Darin Erstad. No disrespect to Darin, Luis Gonzalez, or Cliff. I even recently heard a rumor of my old baseball buddy Trot Nixon maybe being a good fit for us. He did hit great here against us, But remember fans,so did Jose Cruz Jr. when he was with the Jays and then got suddenly an average hitter at the Trop. I think the Rays can have a perfect “wait and see” attitude here, unless Josh Hamilton is truly availiable….hint hint Andrew and Matt. In conclusion, the non-tendered list of players will be announced in the coming weeks. This is a huge announcement that always has a few jaw dropping names on it. Things can change dramatically if a huge or unexpected name is released. There always seem to be a a few high dollar drops, or a player with health questions when these names hit a wire……………We shall see. Kick the tires and look real close under the hoods there guys. This team is finally in a position to take quality over quantity in a players signing. This team will have Carlos Pena back with a projected one year deal. Pena has two years until he is a Free Agent, but both sides are working towards a agreement in place before the Spring Training report date. I think this might happen to both prove both sides points. His agent,Scott Boras says that “Carlos is just heating up”, and the Rays are hoping it was not just a fluke year offensively for Pena. Either way, Carlos will be a rich guy come Feb. 2008. And we are a richer team both in knowing the talent is the best this team has fielded in its 11 years in the MLB. Sorry Fred McGriff, Wade Boggs and Jose Canseco. I wanted the “Hit Show” to be the thing that we measure our successes by, but that is not the case. I will end this with a note about the hardest working Rays I have nkown in my years watching and following this team. Bullpen Catcher Scott Cursi is always working with the pitchers and providing BP pitching and foul pole comments and analysis. I have known Scott for years and truly feel blessed to have ever met him. We have had a routine of him coming to give me some grief before every game down the Right field line after he tosses with the Rightfielders. We have a habit of tipping our caps after the last out before he heads into the locker room for the night. Scott is a guy who has invited me out a few times when I have gone on road trips to celebrate with himself and a few people on the team. I have cherished these moments in Seattle and Cleveland. I look forward to 2008 for both the Rays sucesses, and seeing my baseball buddy again manning the Bullpen with Bobby Ramos. As always Scott, I tip my hat to you for what you do for the Rays, and our Section 138 fans group. Only ( as of Dec 7th, 2008) 77 days until Pitchers’ and Catchers’ report ……..and I can’t wait until 8 am that day.